Warning: Interlock installations are contagious! May cause uncontrollable desire in neighbours to stare in amazement and request our Interlock services. 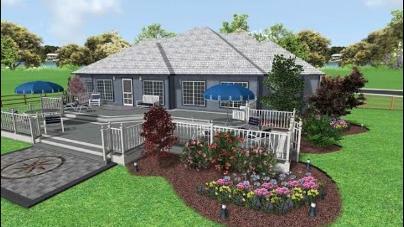 A new outdoor area can add that extra room you need for relaxing and entertaining guests. Even a small area can be made to appear bigger by adding different elements such as borders, walls, pergolas, and elevation changes. A great way to add a focal point of interest and to enjoy the warmth as it crackles. Landscape lighting will bring it all to life after the sun goes down, don't overlook this aspect of your new hardscape. A great first impression starts at the front entrance, a great looking front entrance creates a welcoming feeling for your guests. Combine some landscape lighting and flower beds with garden walls to finish it all off nicely and really add some curb appeal. Make your new patio a destination by combining different stonework to give it a visually interesting look. The options are truly endless. Add an outdoor dining area, or a fire feature with seating walls maybe an outdoor kitchen, and some landscape lighting to bring it all to life at night. You are making an important investment in your home. Don't let poor workmanship turn your plan into a disaster. 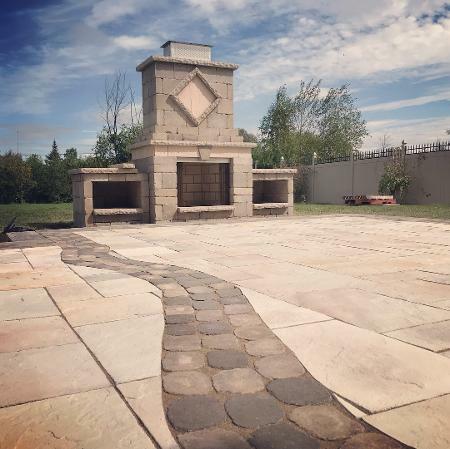 Proper site preparation with correct grading, base material and compaction is key to ensuring that your new patio or driveway looks great for years to come. 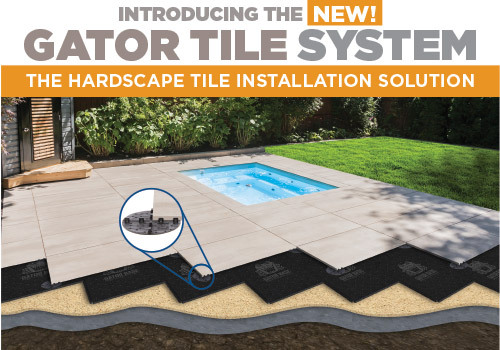 How Much Does Interlock Installation Cost? 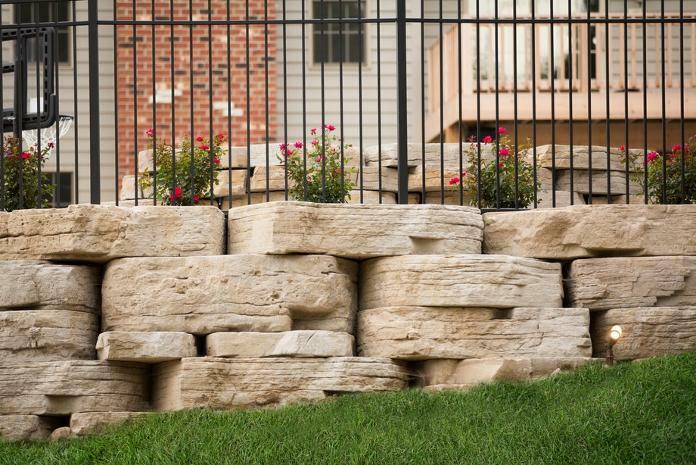 Contact us to come out for a free Custom Interlock quote today! 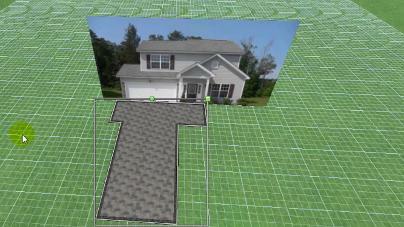 Is your asphalt driveway sinking? 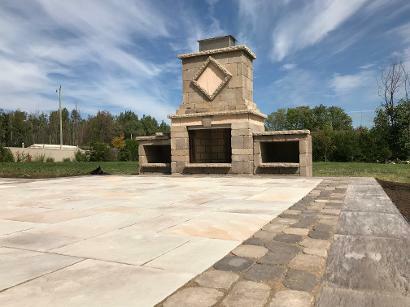 We are one of the only Ottawa landscaping contractors to offer this service, we ensure it is done right by using our special technique using a combination of geo textile fabric, Drive Grid and open graded granular materials. We will also divert downspouts to keep water away to prevent any future issues. 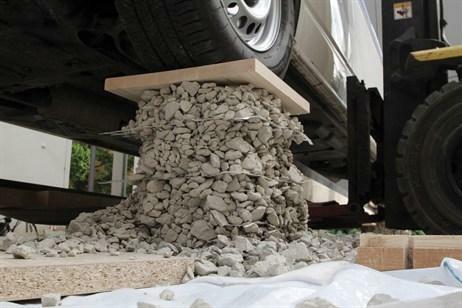 Why temporarily patch it with asphalt when you can permanently fix it with Interlocking stone pavers. We take tremendous pride in delivering world-class quality & service that is evident in our workmanship to all our clients. All of the workmanship carried out by Peartree Property Services will carry a two year warranty against any deficiencies occurring to the base materials and established drainage. Duration of warranty depends on installation type and will be clearly outlined in the proposal. In the event of a claim, our warranty will include any material & labour required to correct the deficiency. 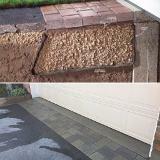 All paving and retaining wall products we install are protected by the manufacturers' lifetime warranty. Manufacturer claims do not cover labour costs, this is handled through the manufacturer. Rest assured that we have some of the highest installation standards in the industry – give us a call today! Ready To Create Something Beautiful? Contact Us Today!